Every vacuum of the iV3 Extrusion line was created to entirely satisfy the every demand of our clients, whether it is for cutting centers, milling machines, lathes or saws. 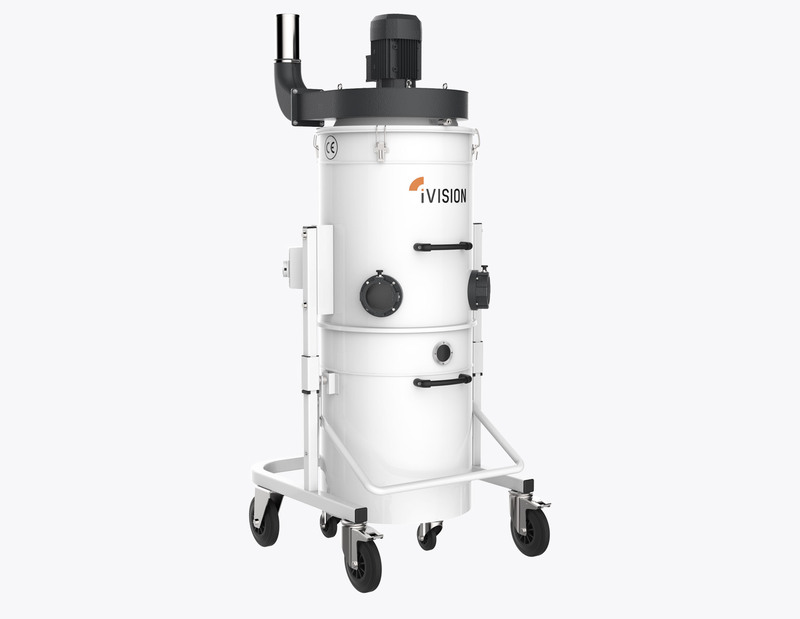 iVision can offer the most efficient industrial vacuums on the market. The iV5 chip collectors of the Extrusion line are dedicated to intensive and continuous machining and are used alongside automatic cutting centres with high chip production. Thanks to the emptying systems by means of a rotary valve, the IV5 chip collectors are used in all work environments where a 24-hour collection is required, due to a considerable amount of chip production. The world’s leading manufacturers have been using iVision IV5 systems in the extrusion industry for several years. Thanks to their compact dimensions, silence rate and continuous emptying systems, IVision IV5 systems are particularly appreciated in the world of the extrusion industry. The excellent performance of centrifugal fans is fully exploited. The careful study of details, the attention paid to design, the use of sturdy materials and the creation of a simple but high-performing chip collector are the features of a product entirely developed and produced in Italy.